With little knowledge or research about what it takes to run a jewelry store, a woman of faith ventured into the jewelry industry on what she calls a "talk with God." 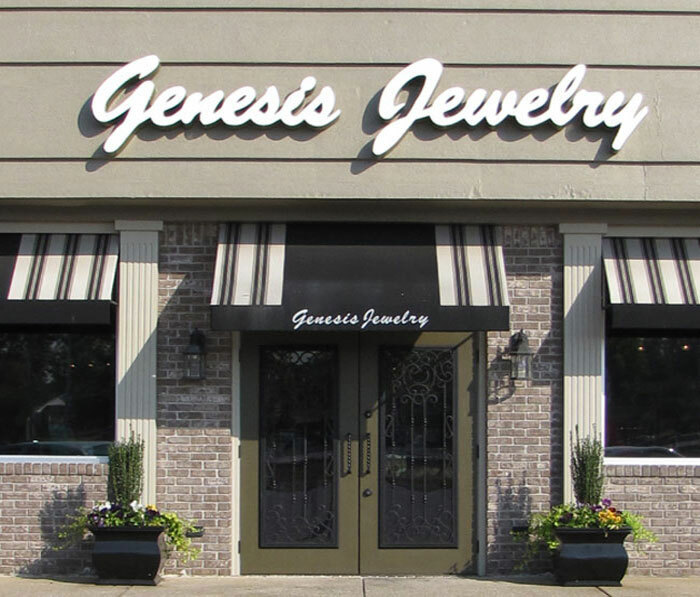 Joan Little, owner of Genesis Jewelry in Muscle Shoals, Alabama, recounts the remarkable discussion that led her to open her own retail jewelry store and how, from the beginning, her devotion to her faith has led to fame and success in a small town. In 1969 Joan Little was a stay-at-home mom looking for a way to earn money. Deciding to open a small grocery store near her home, Joan ran the family-owned store which carried everything from groceries to gas. She worked hard providing the basics for her community while raising her children. After successfully running the store for more than 16 years, Joan was faced with a moral dilemma when the local government voted to allow alcohol sales in the county. "Mom was, and still is, very religious. She has a strong faith and did not feel comfortable selling alcohol to someone who could potentially walk out of her store and hurt themselves or someone else. She knew that without alcohol, customers would buy their groceries elsewhere. After a year of sticking to her guns she decided to close the store," recalls her daughter Jan.
With a heart committed to not selling alcohol and a head full of knowledge telling her that the business wouldn't make it without it, she sat down to have a "talk with God." Jan recalls her mother telling God, "Lord, you know my heart and you know my situation, and I know you will point me in the right direction." Feeling led to try her hand at starting a small gift shop, Joan scouted out a location for what, she thought, was the answer to her conversation with God. She would carry gift items with one or two gold necklaces, but nothing more than a few pieces. "She wanted it to be more of a gift shop than a jewelry store, but she also carried a few pieces like herringbone and rope chain," states Jan. Believing that God had put this store together for her, she opened for business in November 1985 with a dedication ceremony-a dedication to God. She and several members of her family celebrated, dedicated, and prayed in the middle of the store before the doors opened for the first time. And, seeing this store as her new beginning, she named it Genesis. Jan recalls the sentiment of the first few years of operation: "Many people said she'd never make it because she's female and this is a male industry. Plus she didn't have any background in jewelry. She only knew that she liked it. She had the odds stacked against her." The first customer who walked into the store needed a watch battery. Not carrying batteries or any other materials for repair, Joan quickly realized she may need to adjust the concept of her store. "We didn't realize how great demand would be right before Christmas and it was tremendous for bigger jewelry. Customers wanted diamond rings and larger tickets items that we didn't carry," recalls Jan. it seemed God had much bigger plans for Joan than she originally thought. Knowing she needed more merchandise, but without the capital to purchase it, Joan went to the bank and sat down with a loan officer. In a small town, reputation and character go a long way. She walked out of the bank with the money she needed based solely on her signature. "Mom knew this store was no mistake. She knew it was part of God's plan and as long as she did what she was supposed to, the store would be successful." Learning the ins and outs of running a jewelry store became Joan's mission. She learned how to do everything herself, from engraving to watch batteries, and worked harder getting to know her customers. Today Genesis has grown from the small six-case store of the 80s, to a 4500 square ft. store with 40 plus cases today. Jan helps her mother run the store in Muscle Shoals and, today, is famous for her daily morning radio spot. "Every morning at 7:50am I do a live spot on WBTG, a Christian station, and talk with Brother Jerry. We do unrehearsed commentaries and it's become a really big deal around town. It's our way of advertising while letting people know who we are. I talk about the store and my family, telling funny stories about my childhood and personal accounts of humorous things. The people around town have grown to love it and it's as if we've become a part of the listeners' family. They comment on my stories, ask about Mom and always mention something that we discussed on the air," states Jan.
After doing the spot for more than 19 years the Genesis family has indeed endeared themselves to the listeners of WBTG. But their success seems to be rooted more in the willingness of Joan and Jan to follow a different path-a path less traveled. This unconventional route to success, however, has led them to a place of satisfaction, peace, and contentment with the plan God laid out for them. Jan puts it succinctly when she says, "Sometimes we talk about whether we would do it again if we knew then what we know now. I say No way, because now we understand just what a miracle our store is."